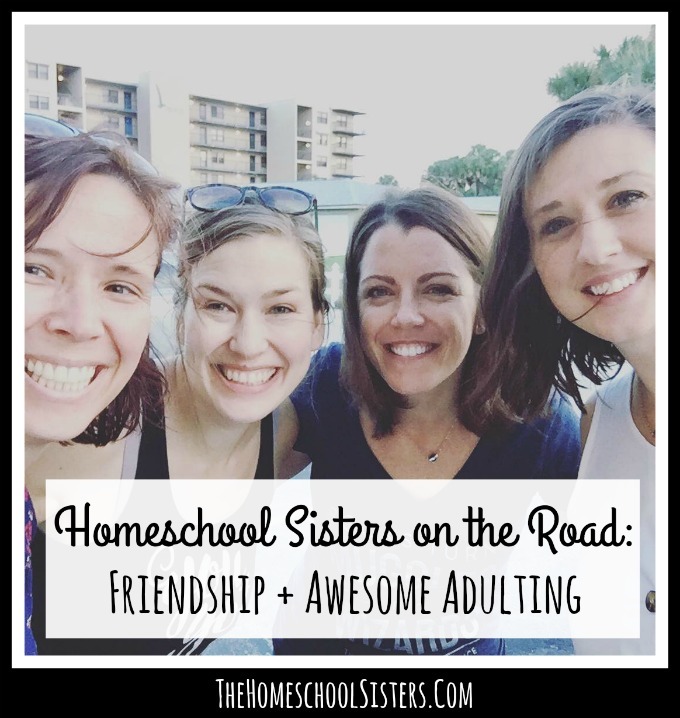 It’s the sisters’ first-ever in person, on the road episode! 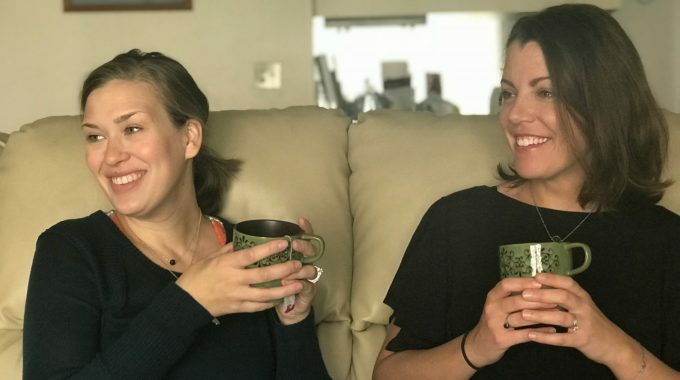 Cait + Kara are joined by pals Mary Wilson from Not Before 7 and Alicia Hutchinson from Learning Well Community and the new podcast Over at Alicia’s in FLORIDA! The four of them talk friendships, meeting on the Internet, meeting again in person, and how blogging brought them together. This episode is real, pretty much live, and all about making friends as a grown-up! Put on your jammies and join in the fun! This episode is sponsored by KiwiCo and ModCloth. Keep reading for special offers from both sponsors! I homeschool a freshman in high school. I also homeschool a preschooler. 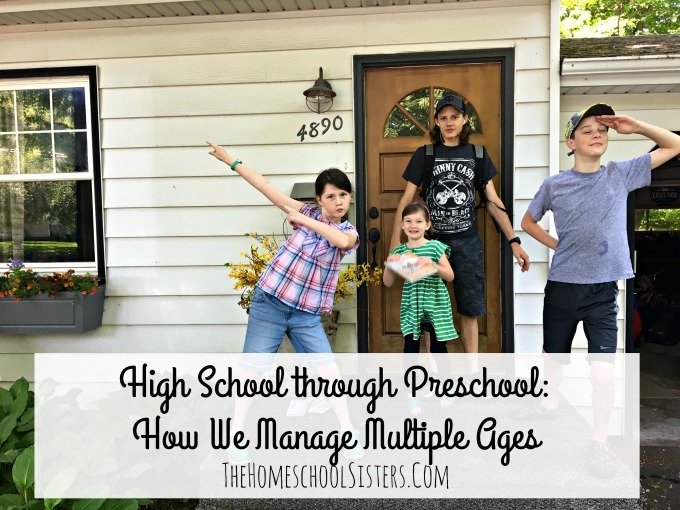 People ask me all the time how we homeschool multiple ages. Hahahahahaha! I have no idea. We just do. And somehow, the one-room schoolhouse thing actually works. I’m just going to be honest and tell you that we had a total groove thang going on with my then 11, 8, and 5 year old. But I went and threw another baby into the mix and yes, it’s been a little challenging learning how to mesh all these people. 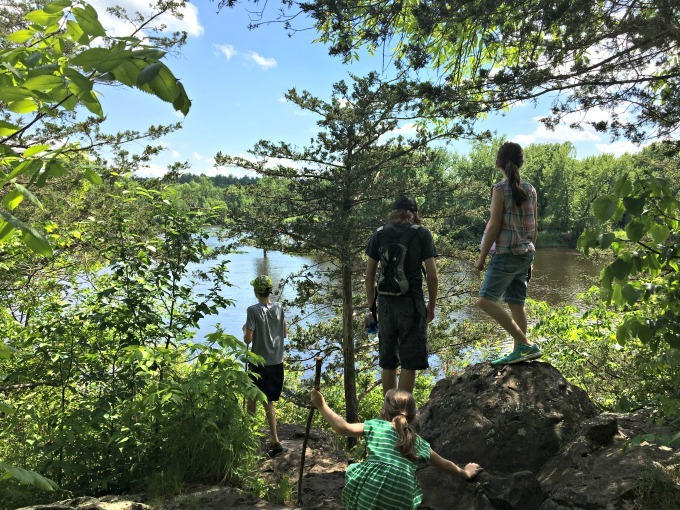 Now, we have a 15-, 11- (will be 12 this summer), 9-, and 4-year-old residing in the Hutchinson Academy of Learning and yes! It can be done! 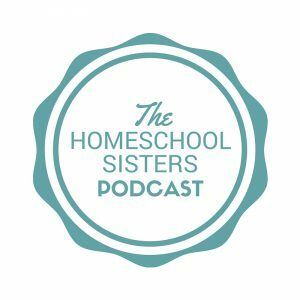 I’m not going to say it’s easy, because it’s probably been the hardest part of homeschooling since my youngest was two or so. But I’ve also been at this homeschooling gig for long enough to know that each year is different and current circumstances don’t mean forever circumstances. And choosing to press forward rather than throw in the towel has it’s rewards.